Trekking in Uttarakhand, Himalaya - How to Do It? Uttarakhand, located in the Himalayan region of India is also called as ‘The Land of Gods’ or ‘Dev Bhumi’ and is very well known for its mountain peaks, glaciers, natural lakes, waterfalls, temples, rivers and wildlife reserves that attract hundreds or perhaps thousands of nature lovers and adventure enthusiasts . If you are interested in doing some great hiking, trekking or climbing, why not challenge yourselves at one of the trekking trails in this beautiful state? Mountain trekking in the Uttarakhand Himalayas will definitely excite you as you are not only going to hike all the way to the base camp, however, you will also be treated with the scenic views and the natural beauty that is absolutely unparalleled. 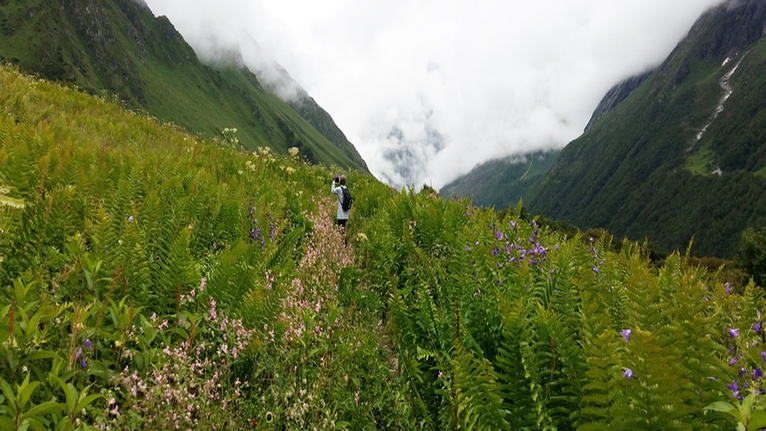 The Valley of Flowers Trek is a monsoon trek where you can enjoy the breathtaking landscape whilst having a pleasure walking in the Himalayas; this valley is definitely a botanist’s delight! The trek begins at Govind Ghat after crossing a hanging bridge. You will walk along the river of Lakshman Ganga and pass by the Bhyundaar village before reaching Ghanghria, the base camp for treks to Valley of Flowers. The Valley of Flowers is a 3 km uphill climb from Ganghria and the trail is not getting any easier. The path is narrow with a river flowing underneath and pays a great caution to the rocky slopes on both sides. Expert tips: It is considered as a moderate trek which means you need to have a strong cardiovascular endurance and strength. Wear a pair of comfortable trekking shoes and since it is a monsoon trek, it is advisable to bring along a poncho for this trek. Pack three layers clothes as you will be climbing at a high altitude and in case you are not able to withstand the cold. You may also opt for the Garhwal Himalaya walking tour, in which the one and only trekking alternative that will captivate you the most is the amazing Chopta Chandrashila trek. The Chopta Chandra or known also as Chandrashila is the highest peak of the Tungnath ranges with a spectacular view of the Himalayas. The trek is fortunately an easy to moderate 3.5 km trek from Chopta and will lead you to Tungnath which is the highest Shiva Temple in the world. The duration of the trail is approximately three to six days. 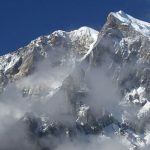 Expert tips: Trekkers tend to avoid hiking at the trek in December and January due to the heavy snow at the Garhwal Himalaya and some of the usual routes might be closed. Gangotri Tapovan trek is one of the famous hiking destinations in Uttarakhand that has never failed to mesmerize the trekkers. The trek will start at Gangotri and you may set up your tent at Bhojwasa. Later you will pass through an orchard of coniferous pine trees that will lead you to Lanka and Gaumukh. Along the way you will reach the Gaumukh Glacier, so do not forget to stop by and explore the surroundings before you continue walking on the trek to Tapovan. It is the base for many treks in Garhwal and is a meadow area with a flowing stream. Overall, the trekkers rate the climb up the Gangotri Tapovan trek as a moderate hike. Expert tips: The best times to hike on the trek are between the months of May and June, as well as August until the mid of October. Since it is a moderate trek, make sure you are physically fit before you start trekking along the Gangotri Tapovan trek. Dayara Bugyal trek is most probably one of the best trekking places in Uttarakhand, even those who enjoyed skiing prefer to spend their winter season or holiday here as this place offers one of the greatest ski slopes in the country. The 4 km trek starts from Barsu to Barnala and you can set up your campsite nearby the sparkling lake of Barnala Lake. The ascending 5 km trail will then bring you to walk through a lush alpine forest that leads you to Dayara Bugyal and ends at Dodital. Expert tips: For the best experience, you should go for an adventure there between mid March until mid November. As for the trail, it is an easy trek and it is suitable for any age group, so bring your family along! Basically, it is a family trekking activity where you can easily have a sufficient amount of rest if you get tired along the way. 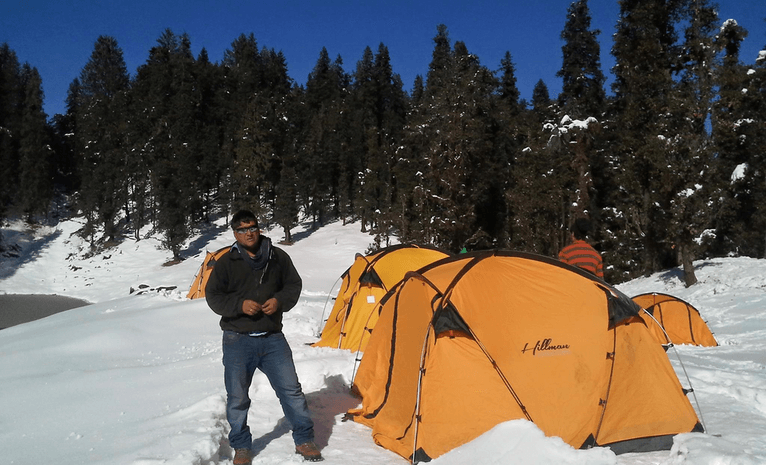 Wishing to have camping treks while you are on the move in Uttarakhand? Then do have one by joining the trek at Dodital, a perfect retreat as the lake nearby is surrounded by a diversity of flora and fauna, a paradise for bird watchers. The trek will start at Sangamchatti to Bhevra and later you will reach the Dodi Lake where you are allowed to set up a camp alongside the lake which is the home of the famous Himalayan Golden Mahseer fish. You have two options then, either to stay and explore the Dodi Lake or trek to the Darwa Pass. The panorama of this trek is definitely going to blow up your mind, it is fantastic! Expert tips: The trek is easy, bring along your family members! You can even shop for your needs along the way to Dodital as there are small shops on this route. 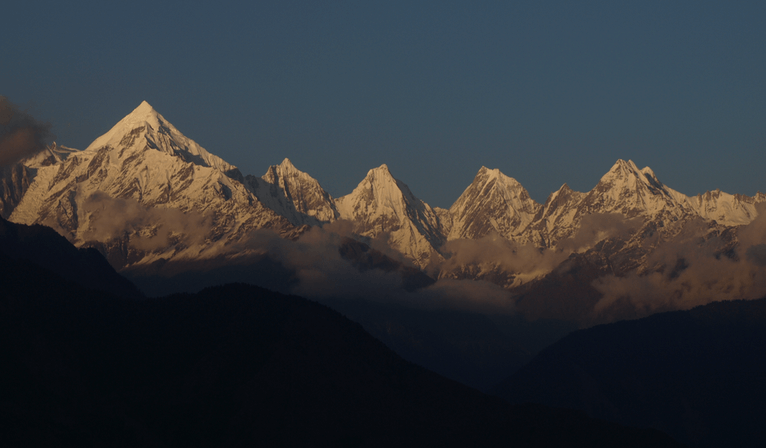 The Nanda Devi East Base Camp trek is perhaps one of the best hiking destinations in Kumaon Region of Uttarakhand. The trail to the base of India’s second highest peak, the Nanda Devi is a dream for every trekker from all over the world. Out of all the treks in the Himalayas, it can be said that this trek is the toughest of all. The trek to the base started from Lilam, passing through a thick forest of bamboo and a few shepherd villages, you will then set up your camp at Bugdiar. Going uphill you will then pass through a beautiful valley of Gori Ganga. The trek will then continue from Milam where you can see the Milam Glacier before you reach Lwani, the last trek before you arrive at the Nanda Devi East Base Camp. The journey to the base is long, so be prepared fellow trekkers. Expert tips: Being one of the toughest treks, keep yourselves fit and pack clothes suitable for a climb at a high altitude. You are always welcome to climb here at any seasons. The Kuari Pass trek is located just nearby the Nanda Devi Sanctuary, and it is basically ideal for the novices as the trek is being described as an easy trek among the trekkers. You will have the opportunity to experience camping in a snow whilst enjoying the snowfall as well as catch the breathtaking view of snow-capped mountains. Out of all the hiking destinations in Uttarakhand, the Kuari Pass trek has the best oak forests at a relative moderate altitude of 12, 200 feet. The trek starts at Chitrakantha to Tali Top, a 6 km uphill trek and you will later on reach the Kuari Pass via the Khullar Top trek. Expert tips: Even though to some trekkers this trail is easy, it might also be quite hard for others as the trek demands continuous ascends. Any child above the age of 7 is fit to go for this trek. Do not forget to pack more layers of clothes as the temperature might fall below zero at night. 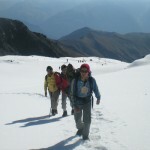 Need another adrenaline rush trek in the winter holidays? Pack your bags and get ready for the Kalindi Khal Pass Trek! It is undoubtedly another adventurous trekking experience in the Uttarakhand Himalayas, nevertheless, you will be rewarded by spectacular views of various other peaks such as the Satopanth and the Vasuki. This trail is an extremely-challenging expedition-style trek as it involves a trek over rough glaciers, rocky screens and crevassed snowfields. The long trek starts from Gangotri to Chirbasa and further to Bhojwasa, passing through Gaumukh until you arrive at Tapovan. From there the trek continues to Nandavan, Vasuki Tal and Kharar Pathar. 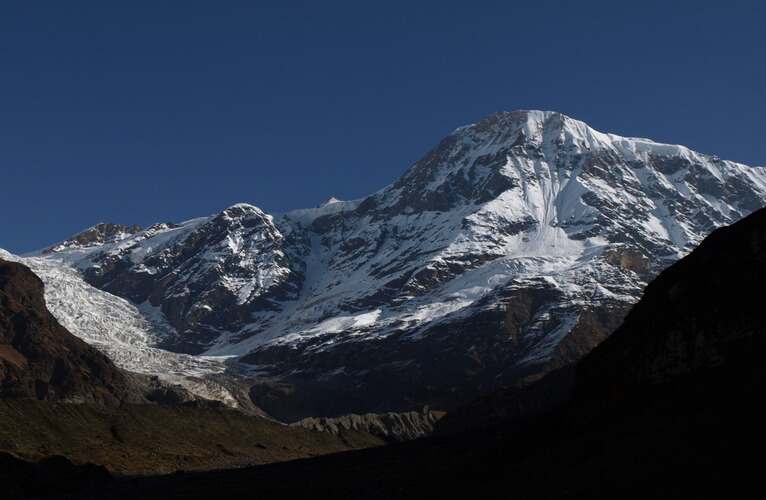 You will come across the Shweta Glacier before finally arriving at the Kalindi Khal Base Camp. Expert tips: This is another adventurous and a tough trek for most trekkers. Do expect crevasses, river crossings and some difficult traverses. Mental strength, fitness and endurance ability are seriously needed. 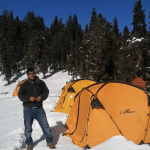 Kedarkantha Trek area is the most popular trekking areas that are best climbed during winter. Do spend some time and experience some of the prettiest campsites in the Himalayas including Juda Ka Talab, Kedarkantha base and Hargaon. 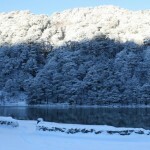 You will start your trek in a dense pine forest and later on walking on the snow before arriving at the Shepherd Camp. It will then take you another 4 hours trek before you reach the Kedarkantha Base. There are not many tricky sections, so it will be safe even if you bring your children along. Expert tips: It is advisable for you to wear micro-spikes on snow to make your climb much easier. There are chances of hypothermia as the temperature during the winter might drop to about 7 degree at night, so bring enough layers of clothes to keep yourselves warm. Whether it is during summer or winter except when the monsoon comes, the Har Ki Dun Valley Trek becomes one of the famous preferred hiking destinations in Uttarakhand. One of the reasons is because the trek offers something unique, in which you can experience walking through ancient villages that are over 3,000 years old. The trek starts from Sankri to Taluka and continues to Osla before you reach Har Ki Dun and enjoy the pleasant views of the valleys. Expert tips: This trek is a good trail for the beginners as it is known as an easy to moderate trek and the gradients are not too steep. However, the journey may be quite long for some trekkers, so you need to have a good stamina for this trek. Pindari Glacier Trek in Kumaon is the best to trek in summer holidays. 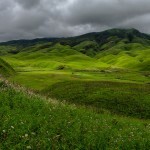 From Dhakuri you will walk through the peaceful surrounding of a forest to Khati and the trekking continues until Dwali. Another 5 km trek will lead you to Phurkia. Then come the tougher part of the hiking in which you have to traverse a number of mountain ridges, spider-walls and stream crossings. However, once you reach the Pindari Glacier, you will realize that your effort is being paid off. The panorama is nothing that you can ignore, it is simply breathtaking! Expert tips: Even though it may be quite a tough trek for some trekkers, it is not impossible for you to bring your children who are at least 9 years old. This trekking expedition of Sunderdhunga Base Camp Trek guarantees you an amazing hiking and adventure throughout the journey starting from Loharkhet to Dhakuri. Being a moderate trail from Khati to Jatoli and Khatalia, you should expect to encounter lots of steep climbing and descents, winding trails, less inhabited villages and a few unknown tracks. You will pass through thick alpine forests along the trail, crossing and walking along rivers like Pindari and Saria before you reach at the Sunderdhunga Base Camp Trek where you can enjoy the panoramic view of few other peaks. Expert tips: Wear comfortable and suitable shoes for this type of trek as it requires a lot of climbing. It is advisable for you to get a service of a tour guide if you are new to this trail as there are few unknown trails that might be dangerous to you. Summer months of May and June are the best time for you to head up to another well-known trek in Kumaon, the Adi Kailash Trek. The region around the peak is extremely peaceful, soothing and incredibly beautiful. You can find Gaurikund Lake at the bottom of the peak, so do not miss the opportunity to explore the ground! The long trek starts from Dharchula, moving on to Pangu and many more stops before reaching Mt. Adi Kailash. This is definitely a long trek. 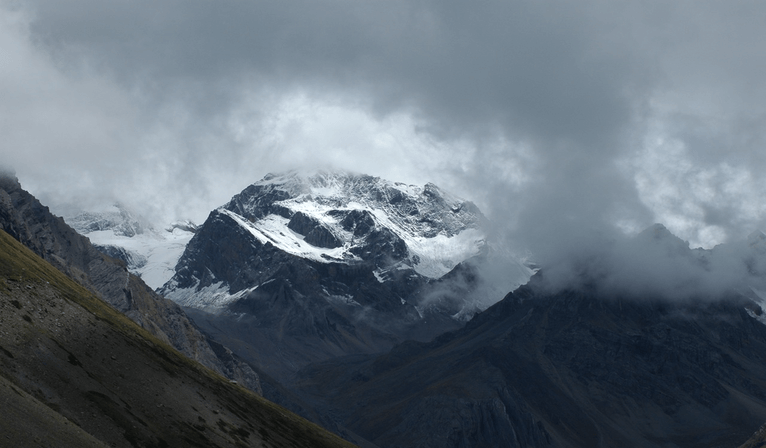 Please bear in mind, the Adi Kailash Trek is a tough trek where you definitely have to cross a number of streams and rivers, passing through several mountains and remote villages. Expert tips: Difficulty level keeps increasing along the way. So be prepared mentally, physically and make sure you have a strong endurance. The Panchachuli Base Camp Trek is relatively an easy trek that starts from Urthing and the journey continues to Naagling and Saun. It is basically a trek used by the local villagers during summer. The only tricky section of the trek is after the Dhar village where extra caution is a must. A long walk from Saun will finally brings you to the Panchachuli Base Camp. The trail is quite narrow and there is a river flowing below. During the journey, you will come across the majestic Darma valley where you can appreciate the scenic view of the Panchachuli peaks. 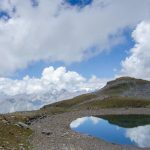 Expert tips: It is best for you to climb up this trek during summer or spring as you will find it much easier to cope with the weather. 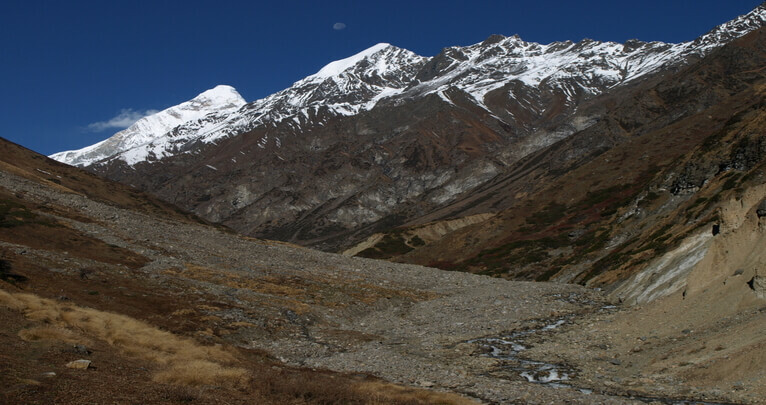 However, it is not advisable for you to do the trekking here during monsoon and winter. 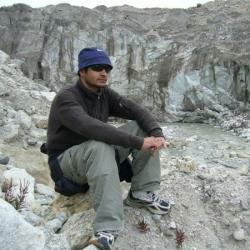 Basically, these are the treks that are very well-known among the trekkers in Uttarakhand. This list does not mark the end of numerous treks available in the state. For those who enjoyed trekking in the Uttarakhand Himalayas, you will find more treks at the mountains waiting for your arrival to conquer their peaks. So now work up your muscles, be fit physically and mentally, pack your bags and get ready to climb up the Himalayas treks!